The zika virus has been found throughout the Caribbean and in other tropical places. Yet there has been no known local transmission of it in Bermuda, making it a safe choice for beach-loving couples who are pregnant or considering becoming parents in the immediate future. 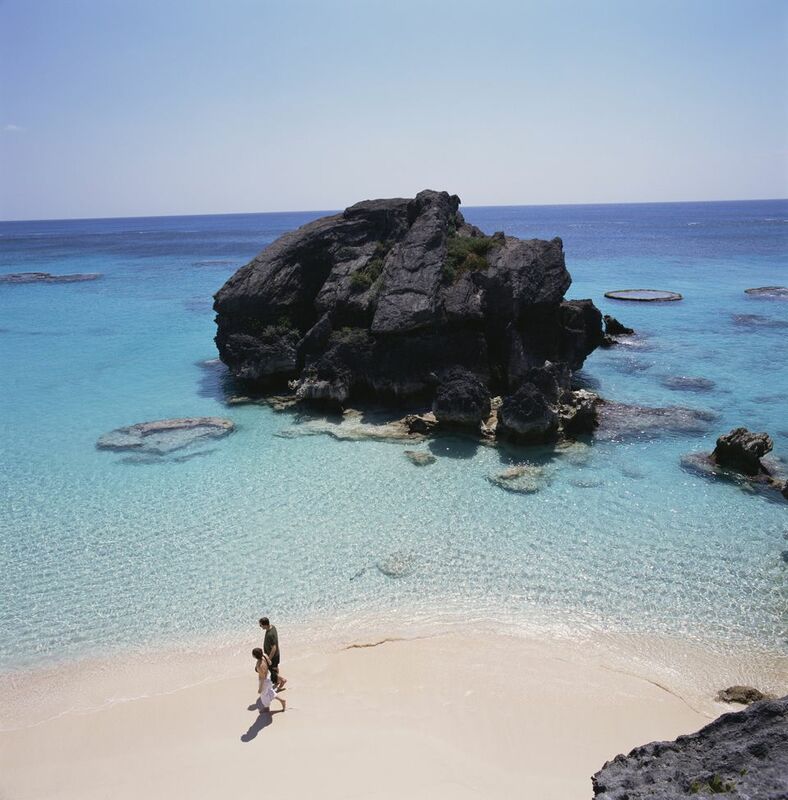 Lying isolated in the Atlantic Ocean 600 miles off the North Carolina shore, Bermuda has welcomed honeymoon couples for generations — although it hasn't been a hot destination again till now. In addition to being free of zika-carrying mosquitoes, Bermuda has many reasons to woo couples now. The beaches that ring the islands really are pink, thanks to pink coral that mixed with the sand. And there are plenty of hidden coves where two people in love can keep to themselves. Like well-behaved crowds and beautiful boats? Bermuda is the 2017 host of the Americas Cup, when crews compete on the world's fastest. Celebrity fans and previous guests await the reopening of Michael Douglas' Ariel Sands resort. In the meantime, one of the island's top hotels, the Hamilton Princess and Beach Club, has undergone a $100-million-dollar facelift, making it a fine place to stay to explore downtown Hamilton (the best place to pick up a pair of those classic Bermuda shorts). Award-winning chef Marcus Samuelsson is behind a new namesake restaurant at the Hamilton Princess, and you can look for his specialties on the menu such as Oysters with Black Rum Mignonette, Jerk Pork Belly and a Whole Fried Chicken for Two to tantalize taste buds. As a member of the British Commonwealth, Bermuda residents speak with a a charming English accent — and drive on the left side. You can't rent a car here, but mopeds are ubiquitous. Riding one allows you more time in the open air to smell the roses and other flowers that line the island's the picturesque roadways. In 2017, Montreal is party city all year long in honor of the 375th anniversary of its founding. Art exhibitions to hockey games, cinema to design, history to the annual HaHa comedy festival beckon couples, along with much more. Find out what events are taking place when you want to visit by going to the Alive 375 website or downloading the 375MTL app for iOS or Android devices. What you'll love about Montreal in addition to the events and excitement of this historic celebration: The French-accented citizens, the charm of the Old City, the exceptional cuisine and the joie de vivre in every season. Long considered the world's most romantic city and top tourist destination, Paris has suffered from terrorist attacks that have caused a significant decline in visitors. Yet the Eiffel Tower still lights up and enchants at night, couples still nuzzle one another at sidewalk cafés, and the Louvre and the Musée d'Orsay continue to display many of the world's most beautiful works of at. For couples who will always find Paris irresistible, 2017 is a good year to go. The dollar is strong against the Euro, so that you no longer have to splurge to buy a couple of macarons and you might actually be able to afford a chic memento from the Galeries Lafayette. Also, hotel rates have dropped and there are lighter crowds at the city's most popular attractions. Two new hotels are worth checking out: the opulent Ritz Paris and the design-savvy Le Roch Hotel & Spa. Inside the 37-room Le Roch, lovers have access to a sunlit courtyard, fireplace in the lounge, library, destination restaurant, hammam and private pool in the spa. Yes, it's one of the coldest places you could visit in winter. No wonder that the first expedition to reach the South Pole was led by a hardy Norwegian, Roald Amundsen. And Oslo's three-time Olympic Champion figure skater Sonja Henie amazed on blades for decades. Skiing couples and those who can't imagine a more romantic sight than watching the northern lights togeether will find the cold worth braving. Truthfully, though, summer in Oslo is a lot easier to take. Suddenly the Stranden along the waterfront is filled with laughing couples who pause for ice cream as they watch ships big and small dock at the harbor. The sun stays high for hours, and that means there's more time to dine, to dance, to explore. Part of what makes Oslo so appealing is its love of art. Around nearly every corner, there's sculpture. The architecture on the ultramodern Astrup Fearnley Museum is a work of art in itself. Likewise, the Oslo Opera House. Looking as if it's emerged from the sea, it's free to explore indoors and outside and you can actually walk on the roof. The OverOslo Music Festival, set on a bluff overlooking the city, runs from June 21-24. Tickets are already going fast. And if you're fans of multicultural food and music, Oslo Mela is one of the largest events of its kind outside of Asia. It runs from August 18-20. Pining for the fjords? Between May 1 and September 30, catch the train to Bergen. As you ascend to the country's highest point, you'll view deep-snow-covered mountains and then disembark at chilly Myrdal for the next leg of this adventure. At Myrdal, you board the once-in-a-lifetime Flam Railway; in an hour's time it takes you past tumbling waterfalls down to sea level. A ferry awaits your arrival in Flam, where you can embark to sail the spectacular Sognefjord and see the geographical treasures that make this country so magical. One more thing to love about Norway: low-cost Norwegian Air, which keeps adding non-stop flights and new equipment to bring travelers to this Scandinavian haven. It's been nearly 16 years since the devastating 9/11 attacks that brought down the World Trade Towers. Since then, downtown Manhattan has come back not only bigger and better, it's become the place to be for romantic visitors. The old attractions that drew visitors to the tip of Manhattan remain: the Statue of Liberty and Ellis Island. And the free Staten Island Ferry still offers the best views of lower Manhattan from the water. Yet it's what's new that's generating so much interest. The view from the One World Observatory on the 100-102nd floors of 1 World Trade Center is mesmerizing. Alas, the cost to ascend the world's fastest elevators inside it starts at a dizzying $34 per person. Top new hotels include the Beekman Downtown, a landmark building lovingly converted into a hotel with a welcoming bar and restaurants from top-name chefs Tom Coliccio and Keith McNally; and the posh, modern Four Seasons Downtown. If you plan to visit NYC to shop, downtown boasts new shopping centers. Westfield World Trade Center is located below the distinctive Oculus transportation hub designed by Santiago Calatrava. Eataly and the Apple Store are two top stops. Nearby Brookfield Place hosts many events for the public and offers a wider selection of shops and eateries. But if you sneak off to SoHo, you can find more independent brands. Bargain hunters will have a field day inside Century 21. You can't come to New York without indulging in its cultural riches. Downtown is home to the new Whitney Museum, which has wonderful outdoor spaces in addition to its collections and proximity to the Highline elevated park; the Tenement Museum, which reveals how immigrants lived here at the turn of the century; and the Museum of Jewish Heritage, a tribute to those who perished in the Holocaust. Can't imagine visiting NYC without taking in a Broadway show? You can pick up same-day discounted tickets downtown at the South Street Seaport before making your way to touristy Times Square. But that's not the "real" New York. Downtown is — so hurry back here after the curtain falls! Where's a great country getaway close to New York City?